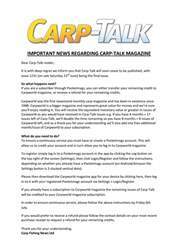 This week’s issue of Carp-Talk (issue 1034) is available to download now. 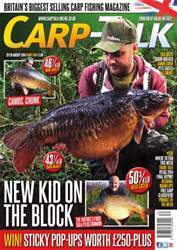 We look back at the final of the British Young Carpers’ Angling Championship at Oxlease Lake. Laurence Smart talks ‘Summer Overnighters’, Pete Castle reveals how simple his approach has become, and Jason Walker explains why his decision to change his bait was the best one he’s ever made. 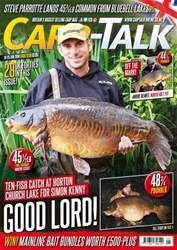 Simon Crow enjoys a bit of surface action with some cracking little northern carp. 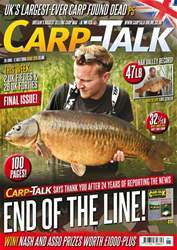 Five more venues go under the spotlight in ‘Where to Fish’, and products from Trakker, Shimano, Fox, Avid, Nash, Sonubaits and 30Plus feature in ‘Trade Talk’. 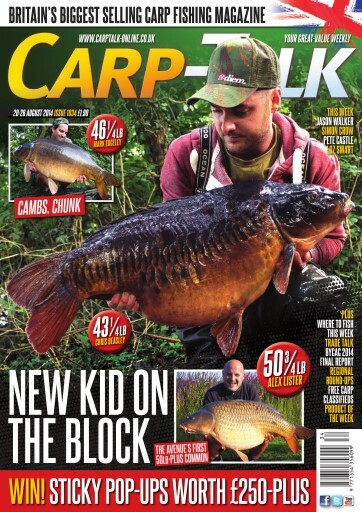 The Fox-Mainline Carp Angler of the Year competition continues, the Gardner monthly winners are announced, and there is £250-plus of Sticky products to be won.